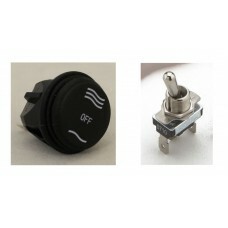 Round Rocker Switch or Metal Toggle Switch? Most road bike riders prefer the round rocker switch as they like the look and the neat fitting bracket, enabling a clean, factory installed look to be achived. Whilst we find most enduro / off road riders prefer the metal toggle switch as it's smaller so tucks into tighter fitting spaces, is robust, and easy to flick on and off over off road terrain. 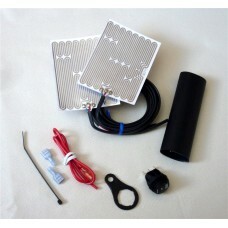 The heater elements themselves are indentical, so the performance is the same. So, in the end, it's simply a matter of your personal choice as both work equally well. Heat Demon from Symtec Heated Grip Kit - Round Rocker Switch These really are a great, mus..
Heat Demon from Symtec Heated Grip Kit - Metal Toggle Switch These really are a great, mus.. 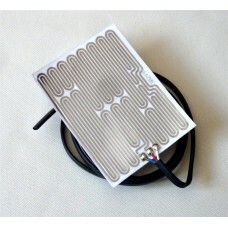 Replacement Heater Element for Heat Demon - Symtec Universal Grip Heaters Changing your handleba.. 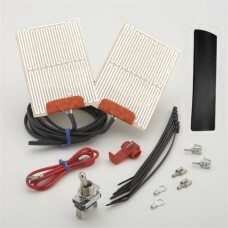 Replacement Switch for Heat Demon - Symtec Universal Grip Heaters Choice of Metal Toggle or Roun..